Vumilia has 3 children, one of whom is disabled, and was struggling to send them to school. 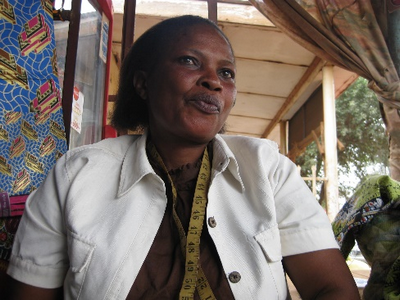 She had learnt tailoring as a teenager and decided to use her grant from Mondo in 2010 to buy a pedal sewing machine. A few years later she used the loan to buy another part for the machine for decorative stitching and more materials. She can now make two dresses a day, with a profit. She says that her orders come from all around Moshi, as she is recommended by many satisfied customers. Vumilia’s business has allowed her to keep her children in secondary school. If you would like to help support more women like Vumilia, we are currently raising funds for our next round of grants and loans. To help us achieve our target you can donate here.